In Karen Marie Moning's latest installment of the epic number one New York Times best-selling Fever series, Mac, Barrons, Ryodan, and Jada are back - and the stakes have never been higher and the chemistry has never been hotter. Hurtling us into a realm of labyrinthine intrigue and consummate seduction, Feverborn is a riveting tale of ancient evil, lust, betrayal, forgiveness, and the redemptive power of love. But those who seek the mythic song must contend with old wounds and new enemies, passions that burn hot and hunger for vengeance that runs deep. 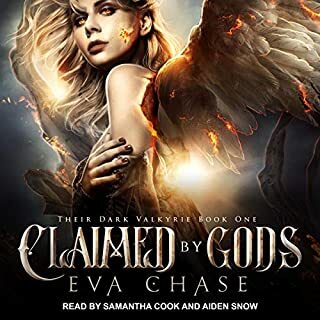 The challenges are many: the Keltar at war with nine immortals who've secretly ruled Dublin for eons, Mac and Jada hunted by the masses, the Seelie queen nowhere to be found, and the most powerful Unseelie prince in all creation determined to rule both Fae and Man. Now the task of solving the ancient riddle of the Song of Making falls to a band of deadly warriors divided among - and within - themselves. ©2016 Karen Marie Monig (P)2015 Brilliance Audio, Inc. All rights reserved. Grateful acknowledgment is made to W. W. Norton & Company, Inc., for permission to reprint ten lines from “Diving Into the Wreck” from Diving Into the Wreck: Poems 1971–1972 by Adrienne Rich, © 1973 by W. W. Norton & Company, Inc. Used by permission of W. W. Norton & Company, Inc. I love KMM books, but am getting a bit frustrated with this series. I eagerly anticipated this installment in the Fever Series. But I feel that this story went in circles. Lots of dialog, both internal and external, but the story isn't progressing. This book felt like is was a big build up to the next in the series, like KMM was getting all of her "ducks" in a row, but not giving us any progression or story. She's filling in some blanks, and maybe has answered one or two of the questions us readers have, but when there are so many unanswered questions, it feels like we are getting meager scraps. What we are getting is a lot of retold backstory. The same things we were told in earlier books all over again. So as a reader and re-reader of these books I feel very disappointed with this book. In a book, whether it's a stand alone or the next installment in a series I like a beginning, middle and end, within this book. What I feel we are getting is a middle, then a middle, and another middle. With so many sub-plots we don't even get some characters stories, just brief mentions by other characters. Oh, well. Here's to hoping that next year when the next one comes out we get some story line progression and a bit of closure on the myriad of subplots and characters. I wanted to believe people were just annoyed because they were used to Phil Gigante and Natalie Ross. I told myself they were overreacting. I told myself to not be prejudiced. I tried. Unfortunately -I have had to listen to Chapter One 4 times now because I keep losing the storyline as my thoughts inadvertently drift to the appalling narration. I know Phil Gigante is a tough act to follow but it feels as though Luke Daniels is killing the characters. Public execution style. I hate to be so harsh but I've been waiting months for this book to be released and disappointed is an understatement. I love KMM and the characters in the Fever world. It may be best to go buy the book and skip the Audio version. 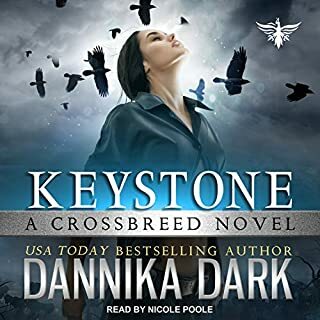 The Fever Series is one of my favorites but this story is my least favorite story in the series and it is not because of the change in narrators. Most of the book was Mac's inter dialogue and there seemed to very little Barrons and Ryodan so it honestly did not bother me there was a change in narrators. I see there are a lot of negative remarks about the change in narrators; however, I think they did a great job. I loved how Luke portrayed several of the characters voices especially Shazam's voice and Jill did a great job on both Mac and Jada's voices. Looking forward to the next story in the series; however, I really hope to hear more about Dani/Jada and the rest of the characters. Mac and Barrons is starting to be redundant. Jill was ok but Luke's narration was terrible! I understand why Phil G. did not voice this book but Luke was a terrible choice. Jill was bearable in her narration. But Luke, I cannot stress this enough, worse choice ever! a lot of the time his characters' voices sounded like 60+ year old men, specially Barron's. That is not what I want to picture! The book itself is great. I love KMM and all her team and I really hope they re-cast the male narrator for the next book. I'd buy this audible again if it was re-recorded with someone else. The new narrators are pathetic. They sound unnatural and unconvincing. If you have any kind of attachment to the previous readers, check a sample first. The narrators are not meant for this book. I would have waited longer for the original narrators to come on board. Who would you have cast as narrator instead of Luke Daniels and Jill Redfield ? Where are Phil Gigante and Natalie Ross? 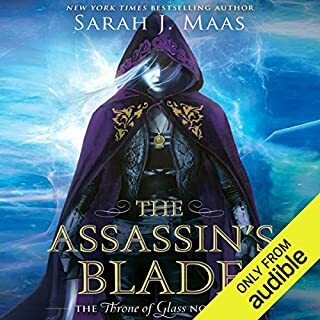 I love this series of books and audiobooks, but I have to say when I started listening and realized I wasn't listening to two of the best readers I've heard, I was seriously disappointed. I don't know why they didn't read this book, but they are truly missed. Phil Gigante's voice is hard to replace and he really sucked you into the story....there will NEVER be a more fitting voice for Jericho Barrons. I'm sorry that they weren't here for this book and hopefully if there are more in the series, they will return as it just isn't the same. Would you try another book from Karen Marie Moning and/or Luke Daniels and Jill Redfield ? This review and rating is based on the narration, not the story. Buyer beware that these are new narrators. The over the top, phony Southern accent Jillf Redfield uses is insulting to Southerners and sounds like something out of a bad high school production of Gone With The Wind. Luke Daniels is just as bad. His voice is pitched too high. He makes Lor sound like a hormonal teenage boy; his version of Barrons is simply too bad to describe. I didn't make it through the first chapter. I will absolutely be returning this book. I'm sure there must be a reason to switch narrators, but it's irrelevant. This title is simply not acceptable with this narration. What was most disappointing about Karen Marie Moning’s story? The narration. Can't say anything about the story yet as I could not withstand the truly horrific narration. If you could play editor, what scene or scenes would you have cut from Feverborn? I would have used Phil and Natalie to narrate. I will have to get the book. So disappointed. So looking forward to listening to story. Will have to hold the book. It's not just the narrators that are terrible, the whole storyline is awful too. Can we please just get back to Dani/Jada? Seriously! Mac and Barron's story ended with Shadowfever - so why the recap of everything we already know with these 2 characters? Why not move on and let Dani/Jada and the other characters shine? This was just too much filler for me and ultimately a disappointment.